Abuse of prescriptions for opioid-based painkillers is becoming the focus of increased regulatory activity on the federal and state levels. For example, as of March 27th in New York State paper prescriptions will become a thing of the past. All physicians practicing in New York must e-prescribe. 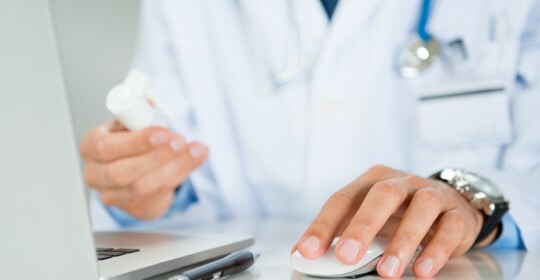 This is in addition to the current requirements that MDs search on a state website for that patient’s recent prescriptions for controlled substances. This effort to control abuse in NYS will not be pain-free for patients and doctors. For the patient, they must identify one pharmacy before the doctor goes online. This means they will no longer be able to take their paper prescription with them and shop for the best price for their drugs. In addition, if the pharmacy they choose is out of the drug, they will have to go back to their physicians and ask them to resend the prescription elsewhere. This law places a significant time and financial burden on the physician. Having used e-prescriptions since last year (some of us were ready before the original deadline of March, 2015), I can attest that it takes much longer to e-prescribe. I have to sign-in to a separate website, type in all the patient demographics, search for the appropriate pharmacy and then enter two levels of verification before it is sent. The additional costs to the physicians for this service, in addition to time lost, are hundreds of dollars a year. Let’s hope the system works. On the Federal front, this Tuesday (March 22nd), the FDA announced it was requiring new safety labels on immediate-release painkillers that would include oxycodone, hydrocodone and morphine. ( NYT ) These immediate release pain medications make up 90% of this market. The labeling would state that there was a serious risk of misuse, abuse, addiction, overdose and death from these medications. ( WSJ ). According to both articles, the FDA is trying to strike a balance between combating the devastating consequences of drug abuse and making sure that pain medications are available for those patients recovering from surgery or are legitimately suffering from chronic pain conditions. At the same time, the FDA is encouraging the development of pain medications that are formulated to reduce the potential for abuse.